The Arlington Office Building, located at 325 Arlington Avenue, is a recently constructed 3-story office podium set on top of a four-level, above grade structured parking deck in midtown Charlotte, North Carolina. Originally developed in 2003, The Arlington became an instantaneous icon in the city’s skyline. It is one of Charlotte’s most recognizable assets due to its location and the use of pink reflective glass. 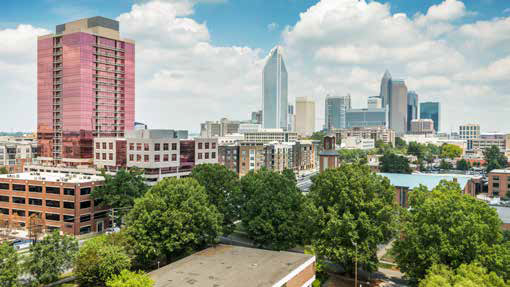 The Property is part of a mixed-use development that includes a high-rise condominium tower as well as ground floor retail and extensive structured parking. Due to the great location of the building, which includes free parking and direct access to the light rail, highways and the CBD, the building is highly sought after by quality tenants.